About three weeks ago, I decided it was time for my static GitHub Page website to become an actual Ghost blog running on good ol’ Heroku! For those of you who are new to Platform as a Service and haven’t heard of Heroku, it’s is a great way to deploy your application to a public endpoint very quickly without all the infrastructure headaches—which we honestly won’t be avoiding in this post, sorry. A very good point to note about Heroku is that your application needs to make use of environment variables and should be built for service-oriented architecture. Ghost, normally, utilises local storage for both its database (SQLite) and site assets (images, attachments, etc). I follow the 12 factor application methodology. Purely comedy—completely unrelated to my usual ramblings. Let’s all agree, we’ve had that one relationship. The one where they cannot relate to logic. The one where the past is brought up to fight an argument in the present. The one where every single thing you say WILL be held against you in the kitchen. And, the one that forces you to meet the parents after about three hours of dating. CDNs are complex things. A number of factors come together to deliver content in the most effective way, to the end user; but there’s loads of things that can do wrong when it’s not correctly implemented or understood. If you’ve ever used Apple Music and Spotify, you’ll know very well that Apple has serious performance issues with media playback in comparison to Spotify, and there are good reasons for why. Spotify provides a data-stream of usable content from the get go. By providing a stream, playable media exists immediately and mitigates any lag on playback. Only in extreme circumstances would this process be delayed. Apple provides a single m4p file which means that the client (iTunes in this case) needs to wait for enough content to exist before it can play it. After many annoying tests and messing about with Keystone.JS, I’ve finally managed to get a proper Unit Testing system in place. We just need two super useful plugins to get started. In our package.json we’ve added a test script that sets up Mocha. This means that when we run (or in our case, CircleCI runs) npm test we’ll automatically launch into the Mocha test process and work through our assertions. Our init.js script is simply used to setup the environment and get everything ready that we need to run tests. Since 2013, I’ve been developing and maintaining the MyClub codebase; a complex system designed to make managing events, club memberships, subscription payments, invoicing and member on-boarding and communication majorly simple for clubs. MyClub was a PHP web application built on the CodeIgniter framework in its youth. It was accompanied by a MySQL database and lived on its own server. The only service-like component attached was the payment processing component which spoke to Stripe via API, but this all occurred server-side. Over time, the members increased and the application began to struggle under the sheer load of the requests, so I moved it onto a cluster. Apache would point to a NFS mount-point with the application, uploads and associated requirements for the application to run. Soon began the issues. Viewfinder is a tremendously important project for me as it’s one of the first projects I began at Studio None. Starting at a new firm is daunting, but the team at Studio None are such a perfect mesh that I was up to speed and powering through bug fixes and timesheet avoidance in no-time. Then, nearly three weeks into the job I, along with Josh Girvin were given this amazing project—Viewfinder. 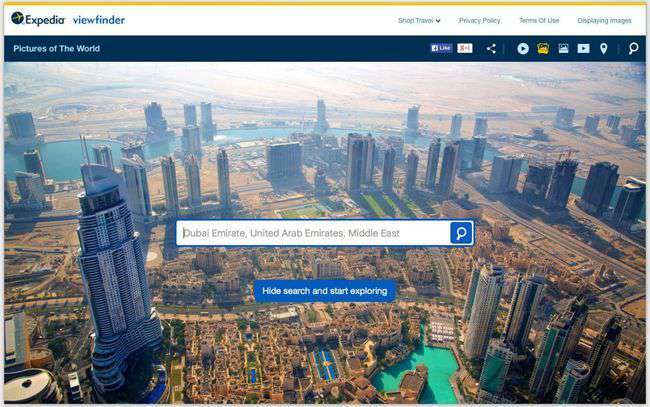 Viewfinder is a way to significantly expand the application of Expedia’s visual assets beyond the existing city destination guide pages—with the goal of guiding customers from the top of the purchase funnel, to the bottom. At Studio None, we’ve been using Docker since the beginning of the year and it has massively improved the way we handle our deployments. 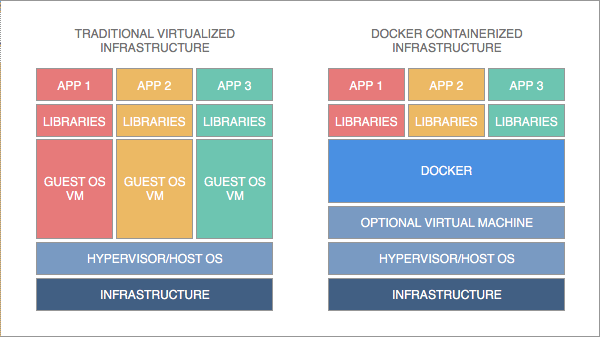 Docker’s primary objective is to wrap up an application and all its dependencies into a neat little container that can be deployed just about anywhere. 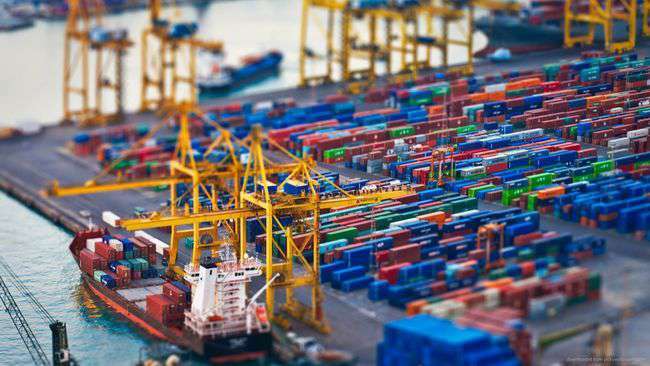 Containerisation isn’t necessarily new, but Docker brings new efficiencies that make sense for development teams making use of continuous deployment. Moreover, Docker makes it easy to scale horizontally and across availability regions. Understanding how docker works can be easily visualised.